13,810 pips earned in 2014! Follow The Last Bear today! The Last Bear Trading Recommendations! PaxForex should be your first stop to the forex market. Earn with The Last Bear! 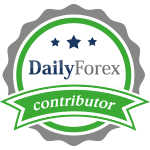 Get your hands on this Forex Trading Course, an introduction for beginner's into the forex market. Get your hot trades exclusively at The Last Bear! The AUDNZD has rallied after a sharp sell-off took this currency pair to a lower low. The current rally is stuck at its resistance level and should this be the end of it a lower high would be confirmed which means the next move will be to the downside and likely set a new lower low. I expect volatile trade ahead, but will use this as a good entry opportunity for my short positions. I expect a sell-off on the back of profit taking, but I am prepared to hold this trade through the end of this year if necessary. The NZDJPY has sold-off nicely and everyone who was short in this currency pair, congratulations on some deserved pips. I think we will see a volatile period ahead of us where this currency pair will try to carve out some solid support before we will witness a sharp reversal. I am positioning myself for a short-covering rally as I do think the sell-off was overstretched and left the NZDJPY in extreme oversold territory. We could see some choppy, sideways action before forex traders will realize floating trading profits. The EURUSD has opened the Asian trading session with a gap lower as Greece is opting to hold a referendum and as the Eurogroup held one meeting without the Greek finance minister in what may have been one of the darkest days in Eurozone democracy. I took the sharp drop as a great entry opportunity for my long position. I think we will see a lot more volatility ahead of us and I will look to possibly amend my stop loss and instead add to my longs. I think the gap we see in today's H4 chart will be closed as more details about the ongoing Greek crisis emerge. The EURGBP has corrected, but I think the sell-off is basically done. Sure, the Grexit issues may plague this currency pair and we could see a sharp increase in volatility especially if no deal will be reached before markets open on Tuesday, but the risk/reward ration on this trade is worth it to me. Those who follow this trade should set aside enough capital for a second entry level just in case we will hit some rough trading over the next 72 hours which will open up trading opportunities. Overall I think the EURGBP will enjoy a short-covering rally which will take this currency pair back into resistance. Silver has continued to drop and I adjusted the stop loss on my previous Silver Buy Recommendation June 1st 2015 from 16.30 to 15.30. The reason for this was that I believe we have seen the worst of the selling and I added to that long position with another buy at 15.85. I think there is plenty of upside in this precious metal and will seek to add to my Silver holdings should we see another leg lower. I am eyeing the 15.35 as another buy entry level and could move my SL again depending on financial developments.